Dimitrios Pagourtzis, el sospechoso de masacrar a 10 personas en la preparatoria Santa Fe. 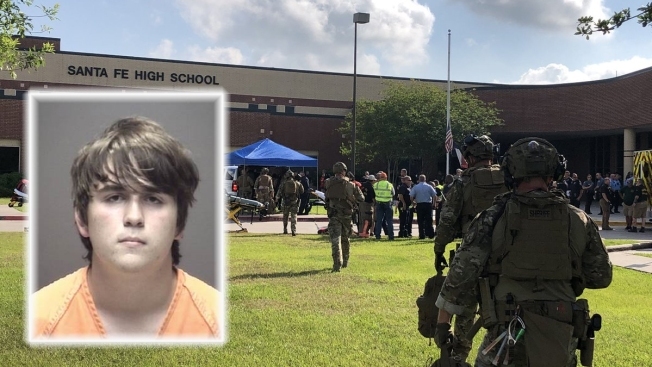 A 17-year-old student accused of fatally shooting 10 people at a Texas high school should be seen as a "victim" because he may have recently been bullied, causing him to lash out, his father said. 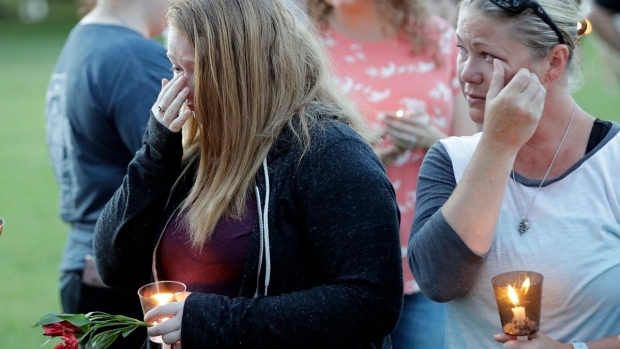 In a phone interview over the weekend with Greece's Antenna TV, Antonios Pagourtzis said he wished he could have stopped the killing Friday at Santa Fe High School. His voice cracked as he described how he told police to let him inside the school so his son, Dimitrios Pagourtzis, could kill him instead. He said he suspects his son was under pressure, perhaps due to bullying. "Something must have happened now, this last week," he told the station. "Somebody probably came and hurt him, and since he was a solid boy, I don't know what could have happened. I can't say what happened. All I can say is what I suspect as a father." The suspect's attorney, Nicholas Poehl, has said he is investigating whether his client endured any "teacher-on-student" bullying after reading reports of the teen being mistreated by football coaches. The school district issued a statement saying it investigated the accusations and "confirmed that these reports were untrue." The elder Pagourtzis said his son took a legally owned shotgun and handgun from his closet before leaving for school that day. The teen didn't own firearms of his own, he said. 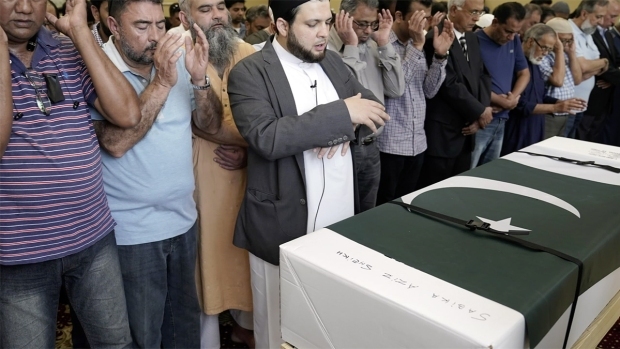 "My son, to me, is not a criminal, he's a victim," he said. "The kid didn't own guns, I owned guns." Antonios Pagourtzis said his son never displayed any signs that he would be capable of such violence, explaining that he didn't fight with others, didn't drink alcohol and seemed to enjoy healthy pursuits such as working out. "He pulled the trigger but he is not this person," he said. "It is like we see in the movies when someone gets into his body and does things that are not done. It's not possible in one day for the child to have changed so much." "I saw the child. I didn't see a child who is a murderer. A pure child, a child who was ashamed to look me in the face," his father said. "He was thinking of his sisters, how his sisters will be able to get about. He said he loves me, he told his mother he loves her and he will try to be strong to help us cope." He said his son had told him he had acted on his own, and had spared "the kids who were the good kids so they can tell his story."